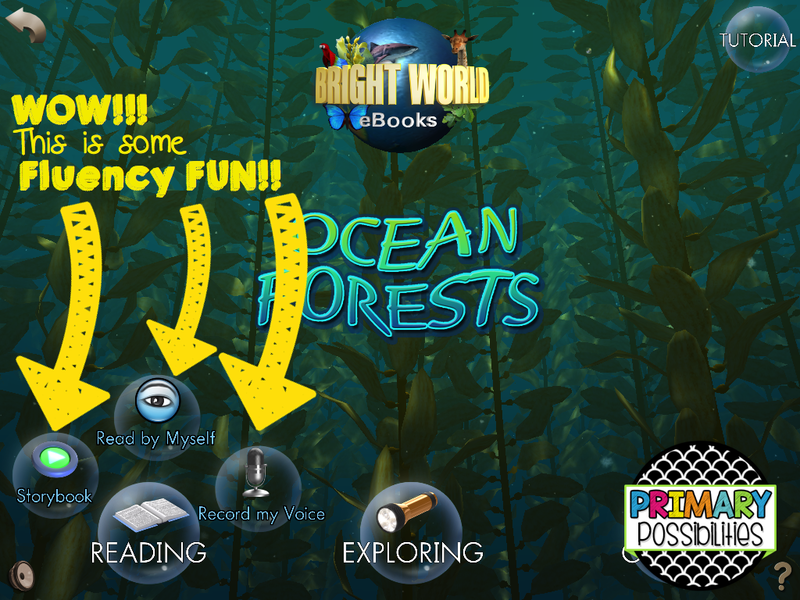 I am so excited to be able to review a BRAND NEW app from Bright Worlds eBooks! They are launching their eBooks with "Ocean Forests" which is a non-fiction story-like book for kids 5-8. This app has so many great features for students! I used this a app on my friend's kids who are often my "test subjects." 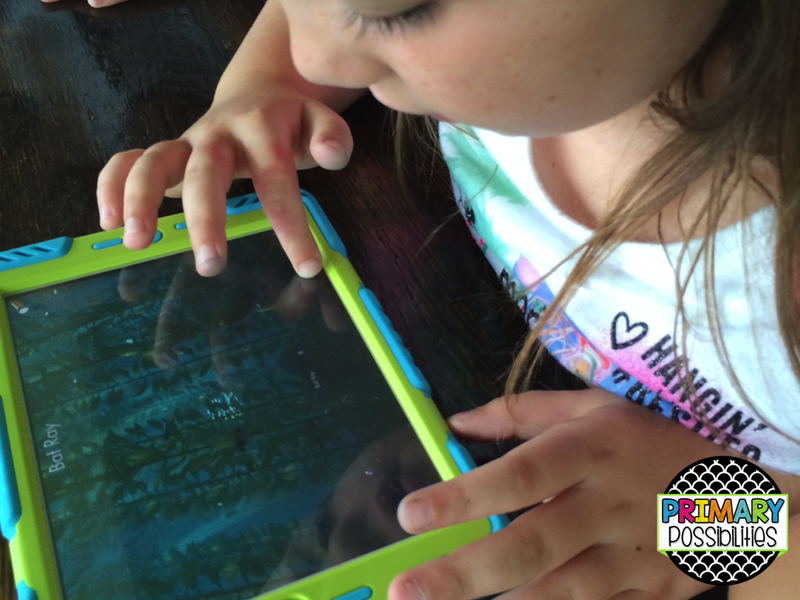 We were on a long drive to an amusement park and the kids were actually fighting over who got to use my iPad and this new app. As one of the kids was yelling Harbor Seal facts from the back of the vehicle my friend commented "I think the app is a success." Here they are using the app the next day to explore the 3D world... you can see there are 3 hands...they literally loved this app so much they couldn't wait their turn! The main feature of the app is of course the story. Students can choose to listen to the story, read it silently to themselves, or practice their fluency by reading aloud and recording themselves. Students will especially LOVE that part because they can change the sound of their voice and then listen to it read the story back to them. Another great feature is the vocabulary! Vocabulary has been a huge focus when it comes to instruction and test scores lately. 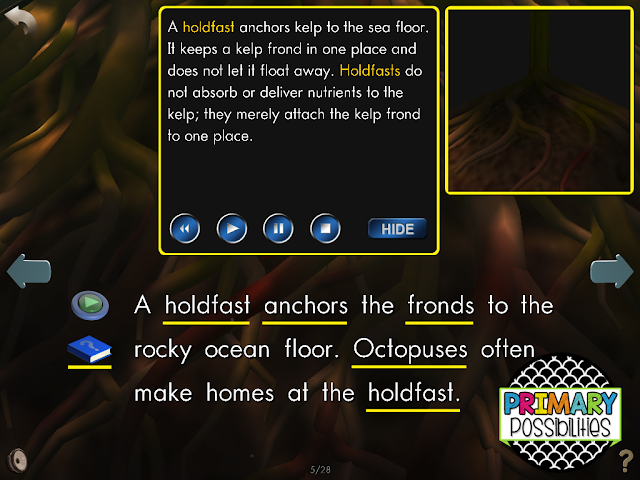 Exposure to vocabulary is a huge benefit and this app has it covered. Students can click on the dictionary and then on certain words which gives them a detailed description and also uses the word in a sentence. My favorite part is the 3D animation. 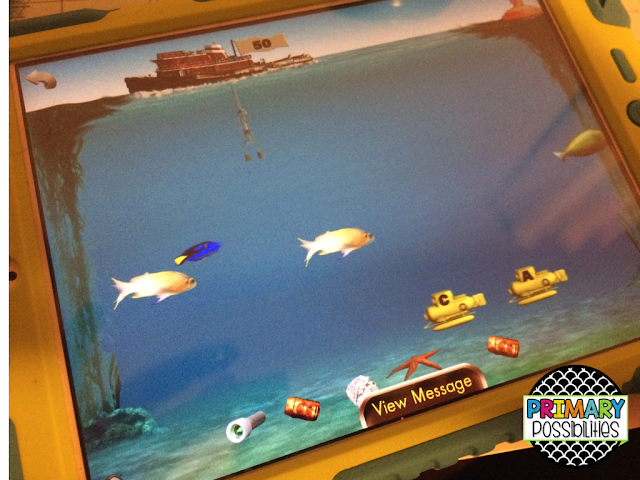 Students can actually explore the ocean floor environment moving their view with a swipe of the finger. They can touch the many ocean creatures and elements of the ocean floor. 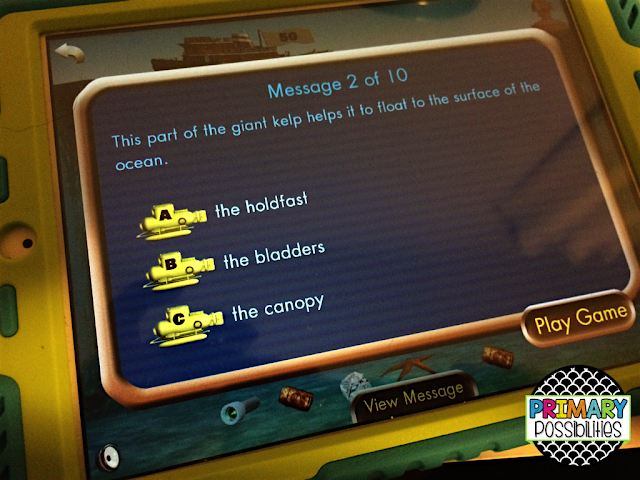 When they click on the object, it highlights it as it moves and gives the student more information about the object. Finally there is the game aspect of the app. 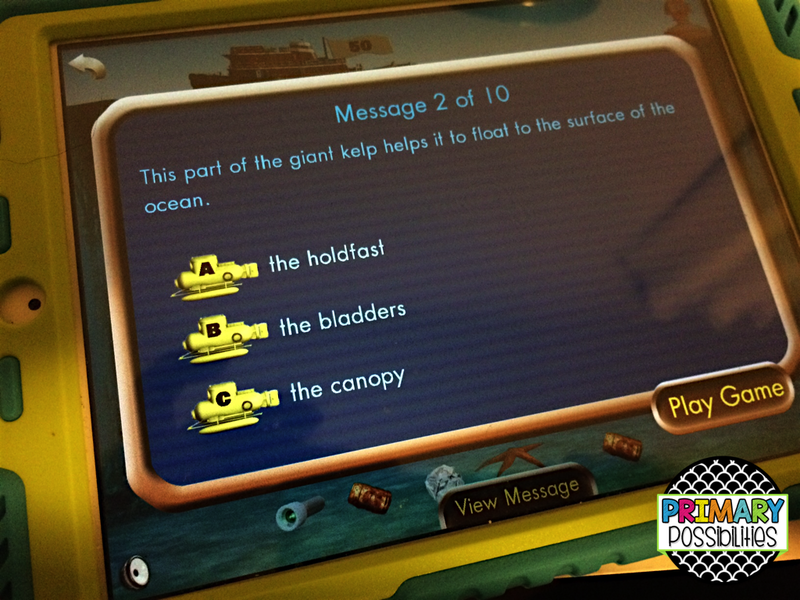 These games are fun, BUT they are also educational. 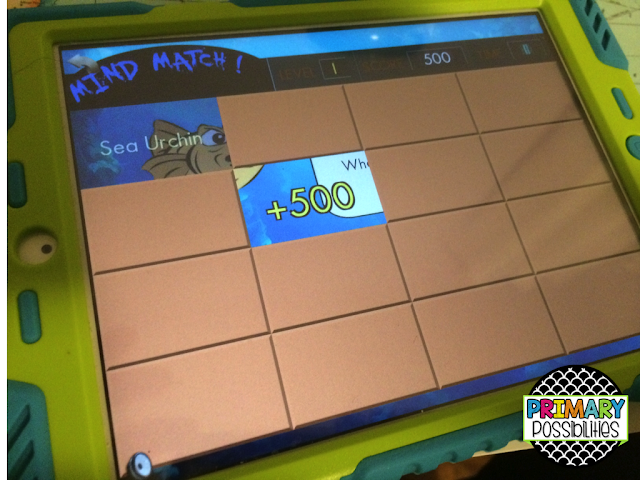 They test the students' reading comprehension skills with a fun games. 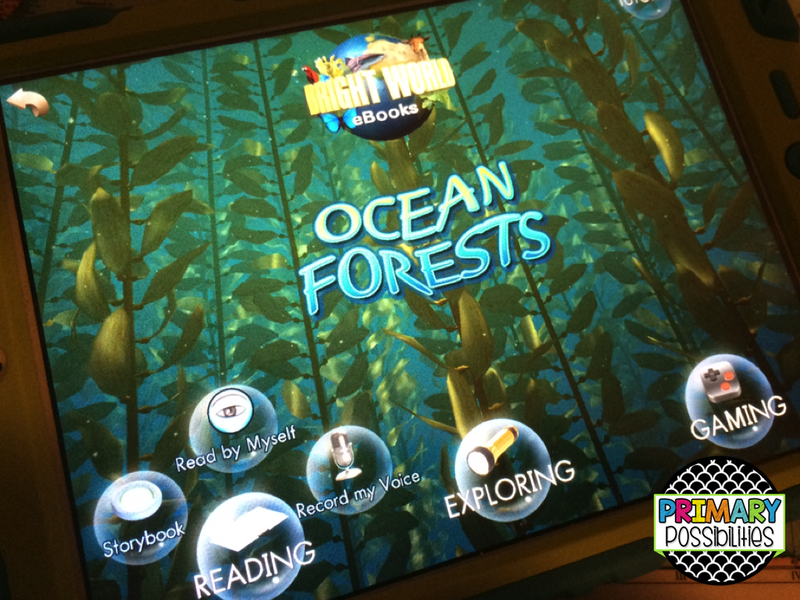 You can purchase this Bright World Ocean Forests app for just $2.99 by clicking HERE! Make sure to follow Bright World eBooks for updates on their latest releases! They will have even more great topics in the future! I can't wait to see what they release next!